INDIANAPOLIS – Work on Citizens Energy Group’s DigIndy Project will increasingly impact commuters in Indianapolis this summer with lane restrictions and road closures. DigIndy is a $2 billion, federally-mandated project to build a 28-mile long network of deep rock tunnels 250 feet beneath the city. The tunnels will store 250 million gallons of sewage and storm water during rain events and nearly eliminate about 6 billion gallons of overflows to area waterways by the year 2025. DigIndy will help restore area rivers and streams, enhance recreational opportunities and drive community revitalization and economic development. Fall Creek Parkway at Central Avenue – Fall Creek Parkway and Central Avenue are set to re-open by June 23 (some restoration efforts may remain). However, the City’s Department of Public Works (DPW) has an ongoing project in the same area, which will continue to restrict traffic lanes. 28th Street and Capitol Avenue – Throughout construction, residents will experience road closures on 28th Street from west to east at Boulevard Place to Illinois Street. Illinois St. will remain open during Citizens construction, as well as the DPW’s work on the Capitol Avenue bridge over Fall Creek. Detour routes are posted. Citizens work on 28th Street is expected to last until Spring 2018. WEST: Preliminary construction on the White River Collection Consolidation Sewer (CCS) began on May 22 and will cause disruption for approximately eight months. Throughout construction, residents and commuters will experience road closures on Miley Avenue from W. Michigan Street to St. Clair Street (including intersections), impeding access to N. White River Parkway W. Drive from W. Michigan Street. Detour routes are posted. 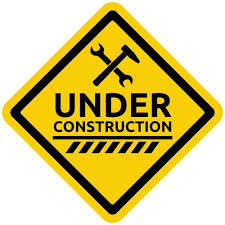 EAST: Beginning June 19, construction will begin on the Upper Pogues Run Combined Sewer Overflow (CSO) Reduction project. The construction will disrupt street parking at Forest Manor Park and, later this fall, will close the disc golf course and trail access on the south end of Brookside Park, near the intersection of Brookside Parkway S. Drive and N. Rural Street. Construction in both locations is expected to last 24 months. Customers can get up-to-the minute reports on road restrictions and closings resulting from utility projects and repairs at Citizens Outage Map. DigIndy also has a new look online with the launch of a refreshed webpage at CitizensDigIndy. To stay connected to the DigIndy updates on Twitter, follow @DigIndy.